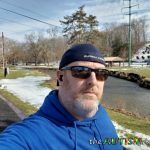 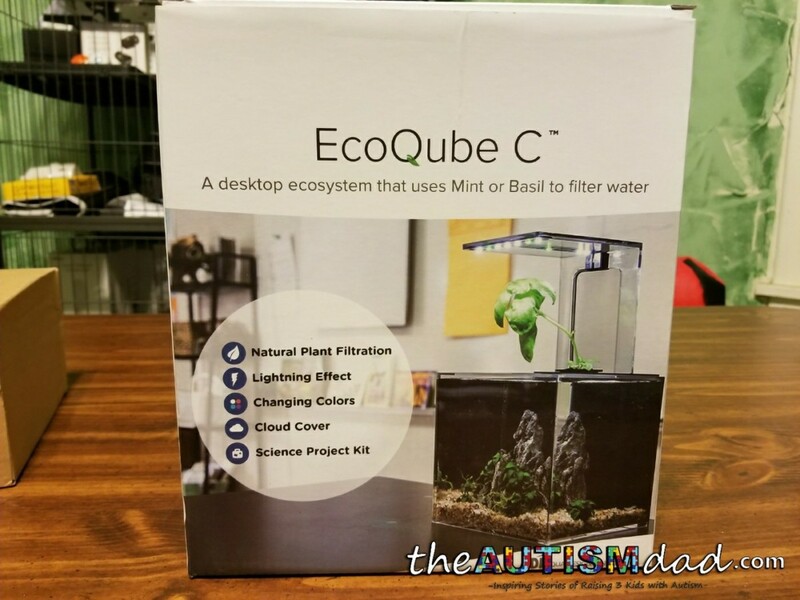 This review is brought to you by EcoQube. 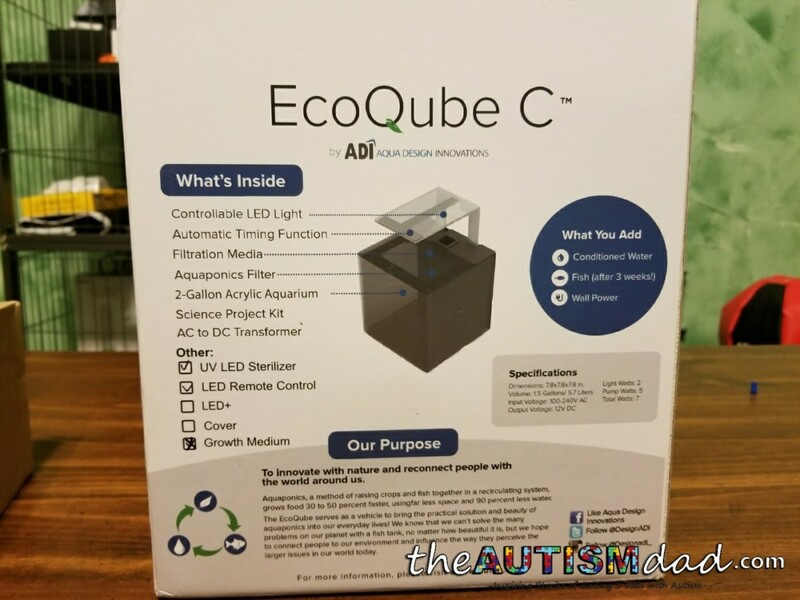 They were kind enough to send me an EcoQube C to put together with my kids and help raise some Autism Awareness. 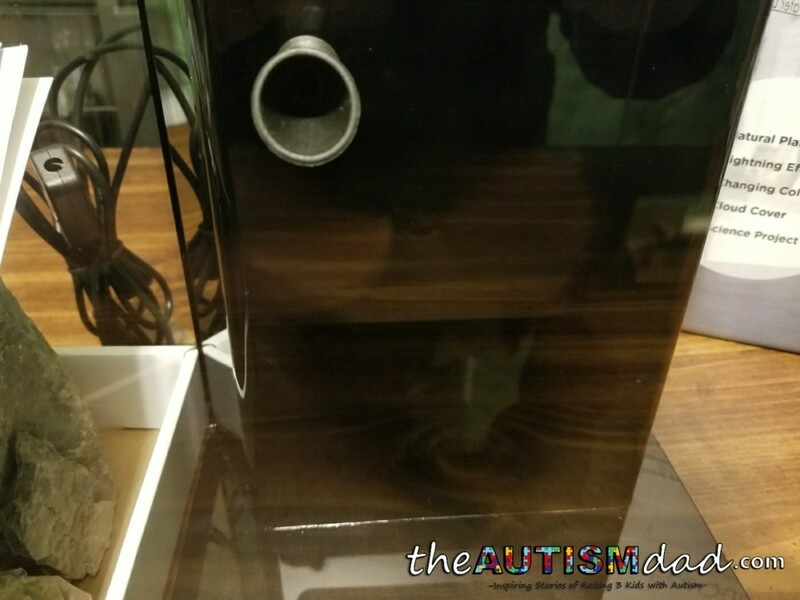 I’m always on the look out for projects I can work on with my kids. 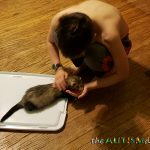 I really like to present my kids with things they can do that don’t revolve around video games or tablets. 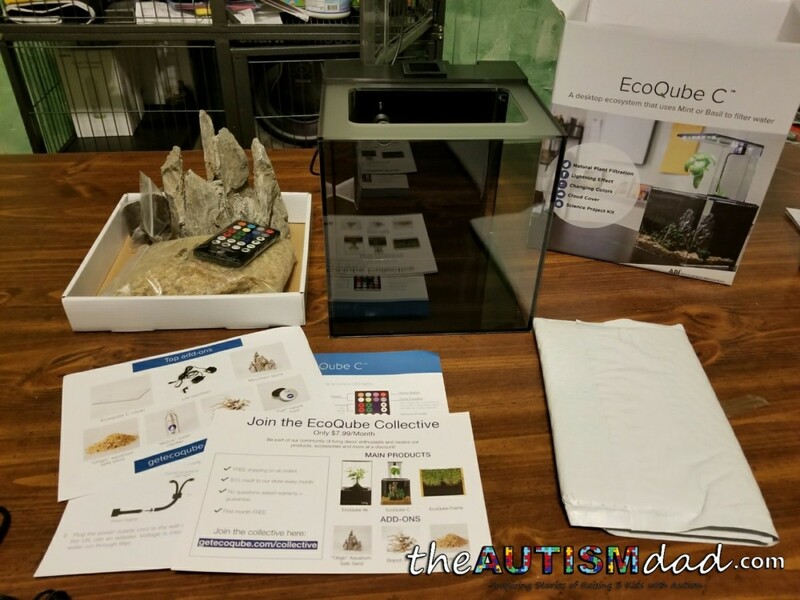 When I came across EcoQube, I thought it would be a fantastic project to do with my kids. 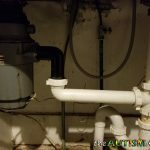 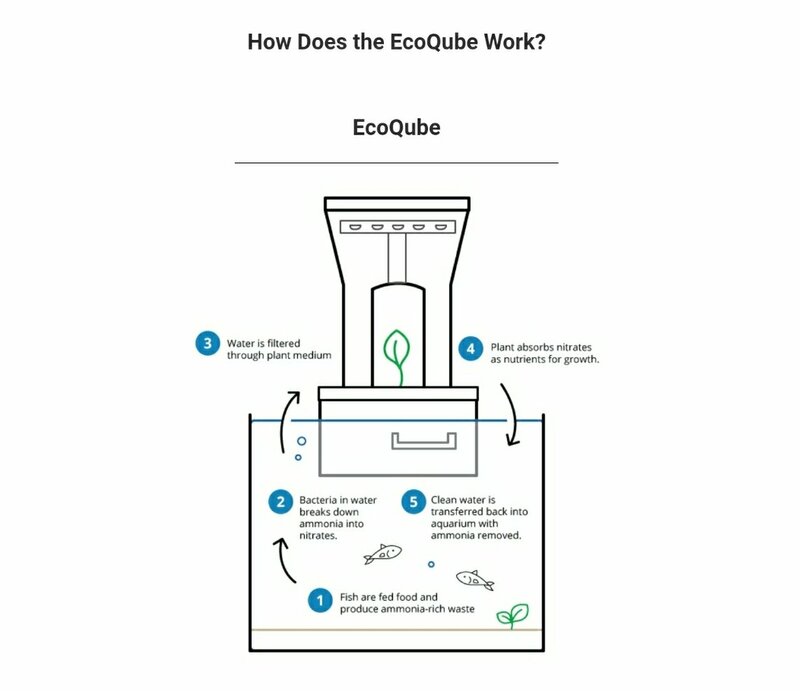 I reached out to EcoQube and explained what I was looking to do. 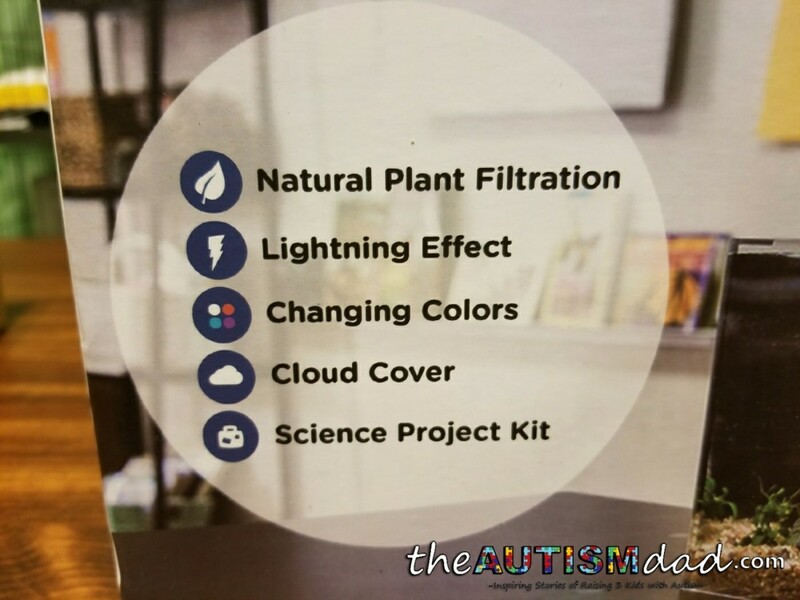 They were super excited to be a part of raising Awareness for people with Autism and their families. 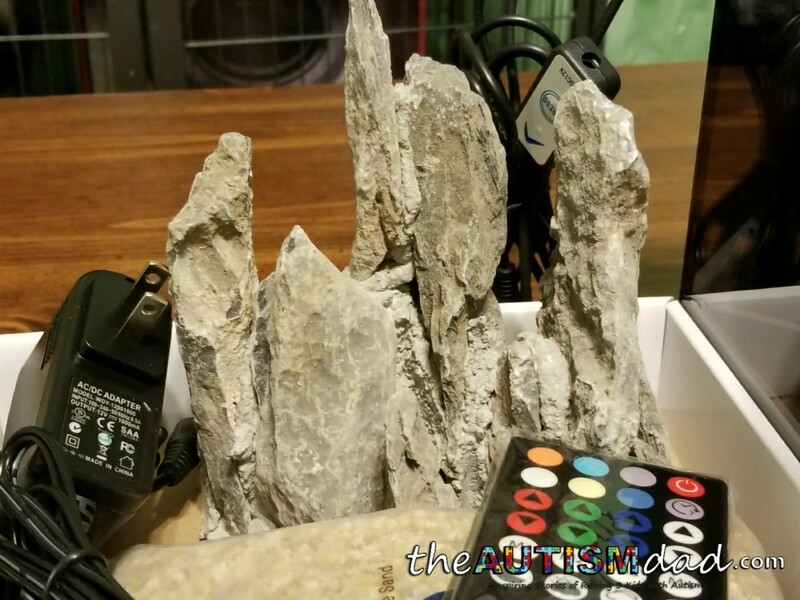 The whole idea is to bring a little bit of nature into your home. 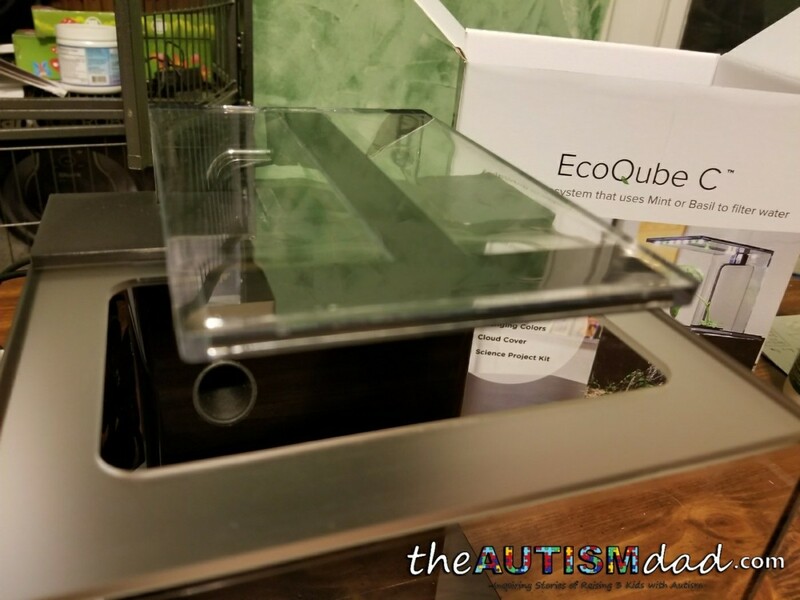 The EcoQube C is something that is very easy to setup and absolutely awesome to watch once complete. 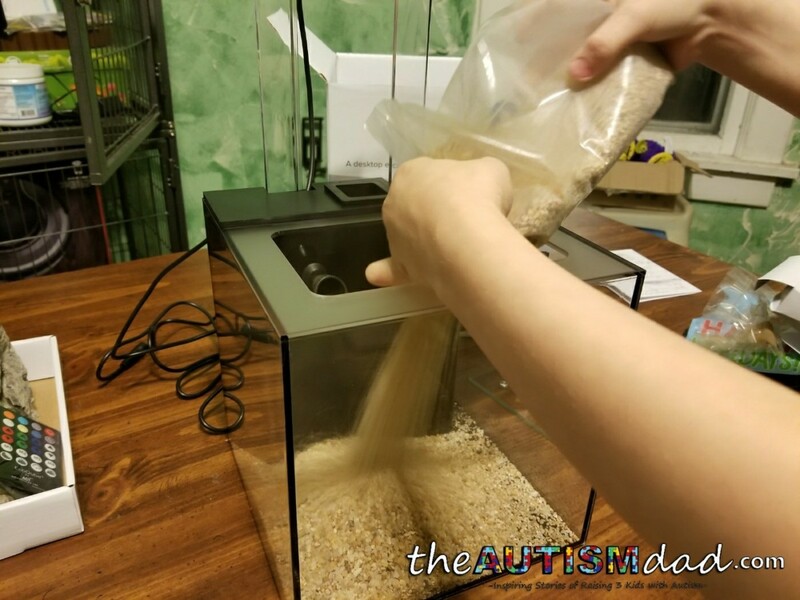 Once you open the box, the process is very easy. 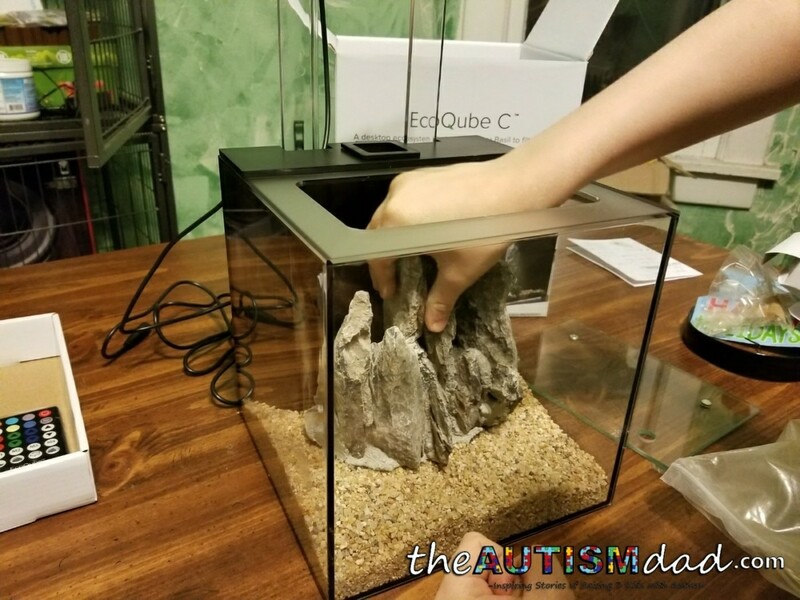 You simply pour the included sand into the 1.5 gallon square tank, place the decorative stone, place the EcoQube C where you want it to go, pour in non-chlorinated water, plug the power cord in and let it go. 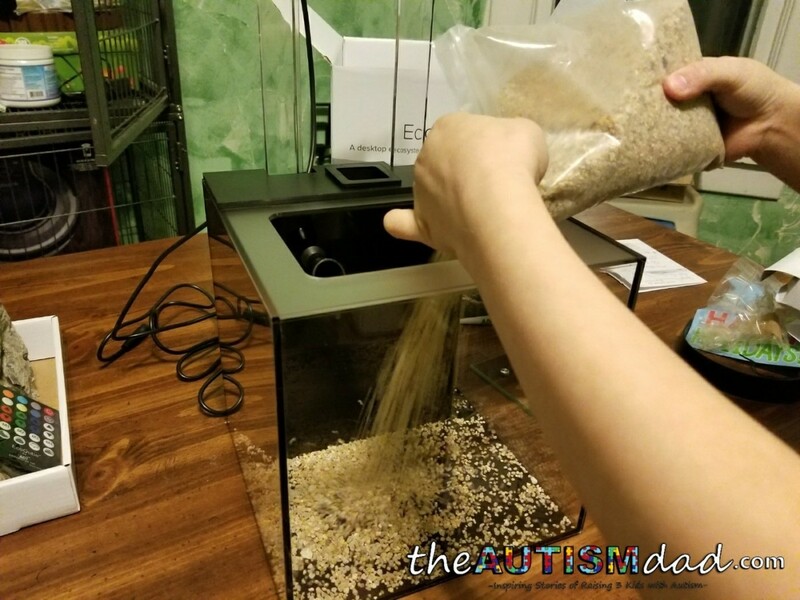 You then either plant a seed or a small plant into the area above the filtration system. 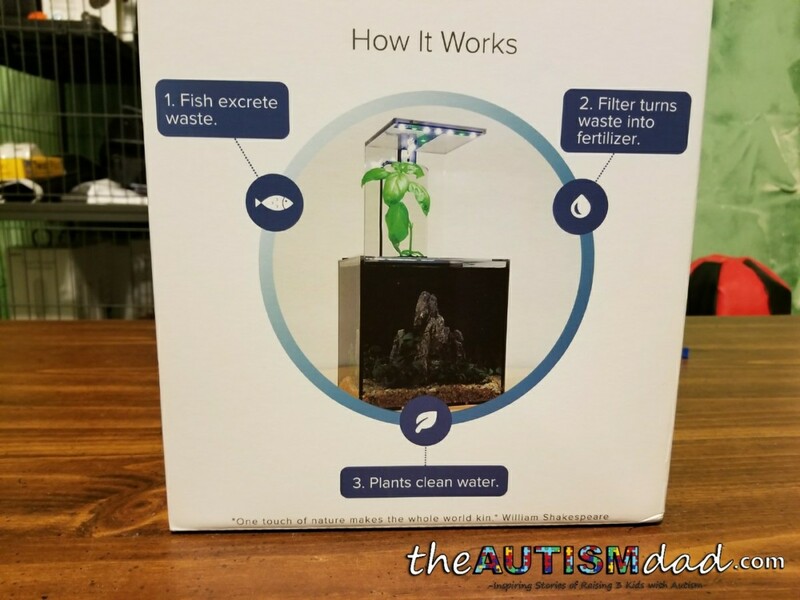 Once the plant grows to about one inch (after about 3 weeks), you are free to place the fish into the tank. 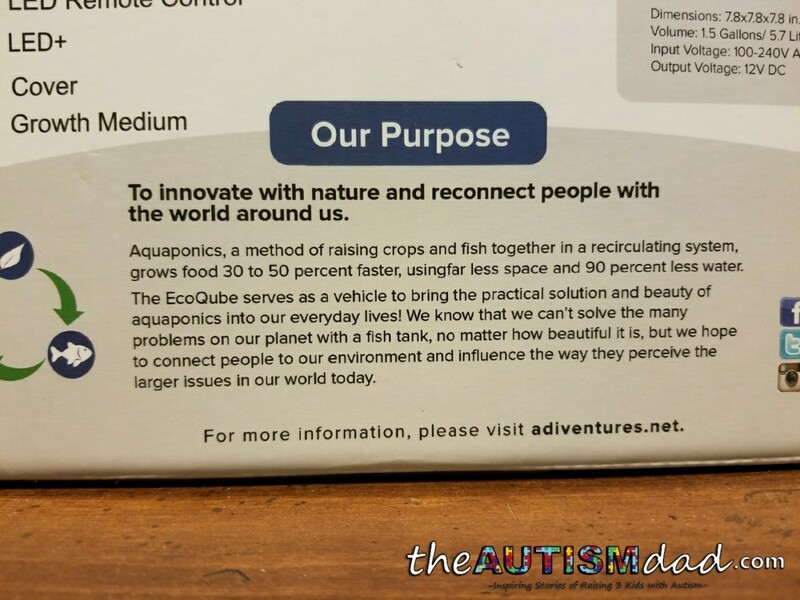 EcoQube has some recommendations for fish and plants but we sorta went in a slightly different direction. 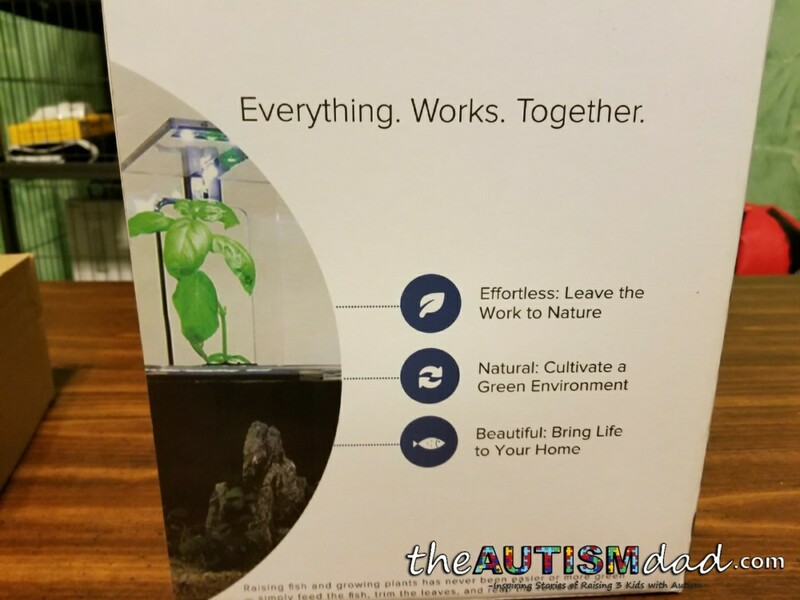 We used a semi-aquatic plant and some tropical fish. 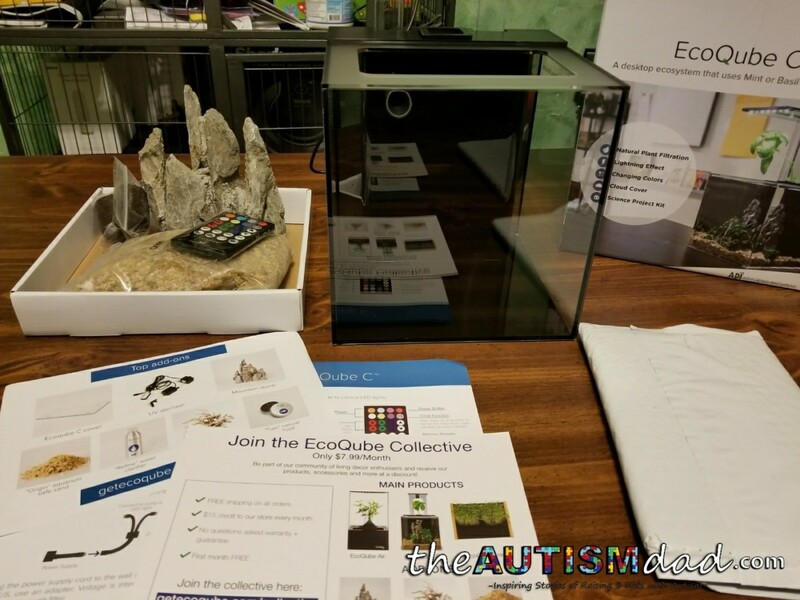 Check out out EcoQube C is different from traditional aquariums. 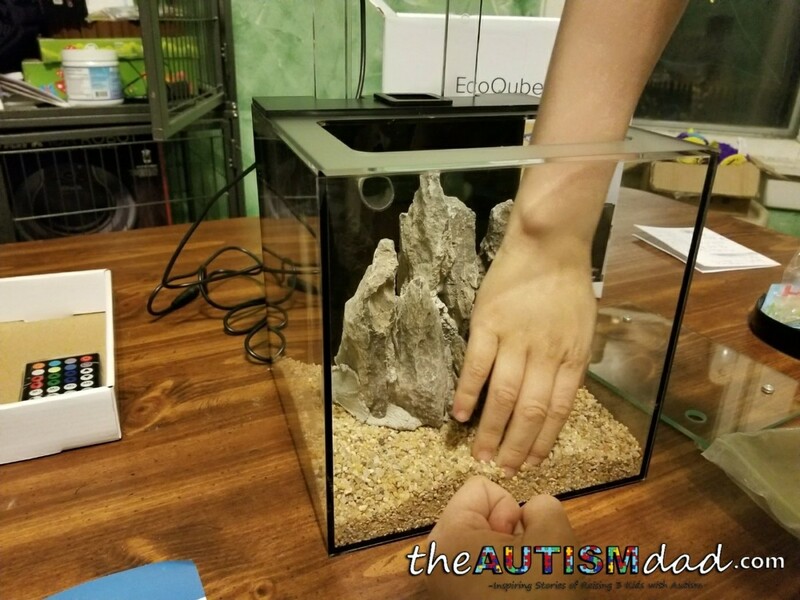 The boys absolutely love their EcoQube C and will just stand and watch the fish swim around. 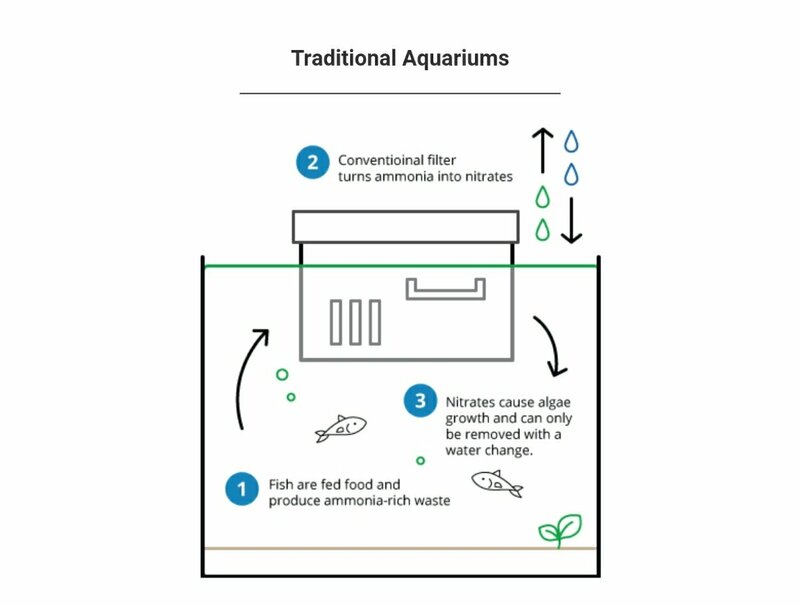 They are able to manage everything themselves because all the have to do is feed the fish and the EcoQube takes care of everything else. 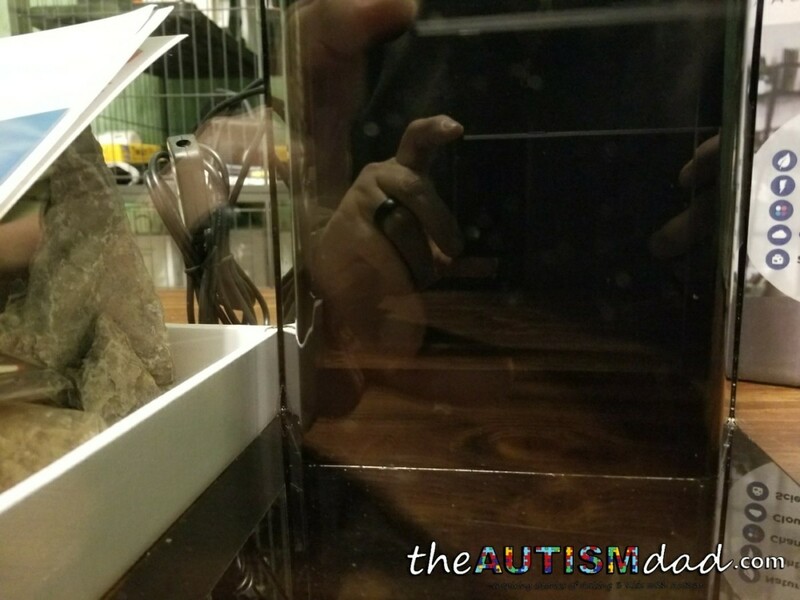 They love being able to adjust the led lights to change the way everything looks. 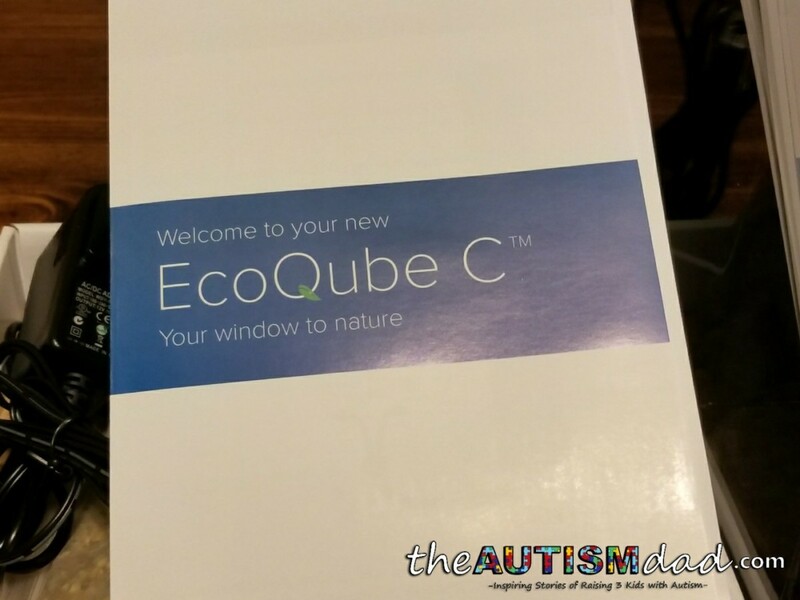 I’ve been thrilled with our EcoQube C experience. 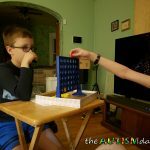 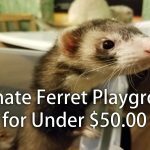 This is a great project for Autism families because it’s hands on, easy to setup/maintain and it provide a relaxing experience for our spectrum kids. 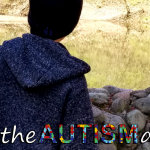 It’s soothing to watch the water move and the fish swim. 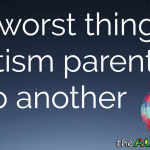 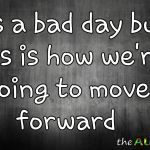 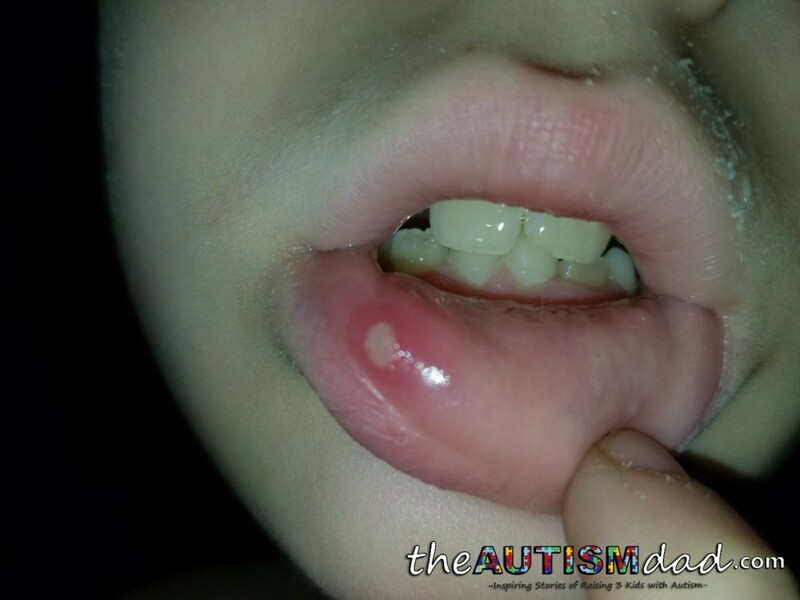 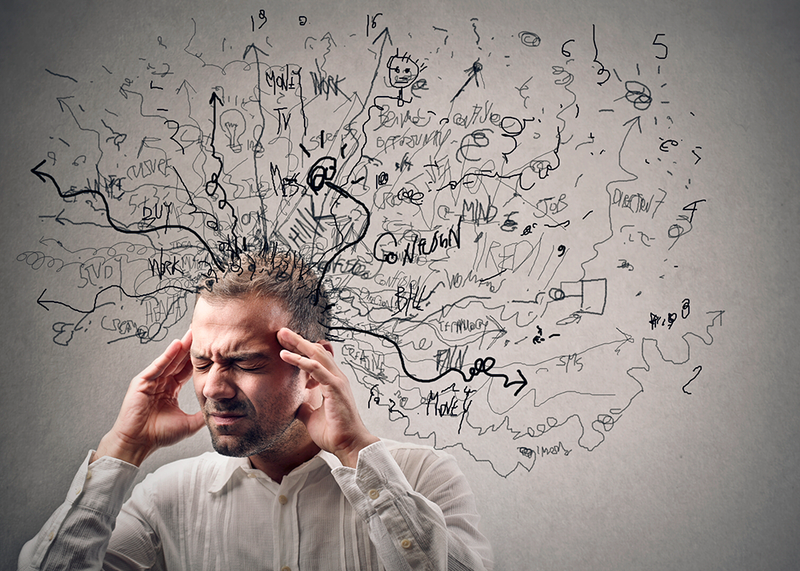 We all know anything that can be soothing for our kids with Autism, is a hugely positive thing. 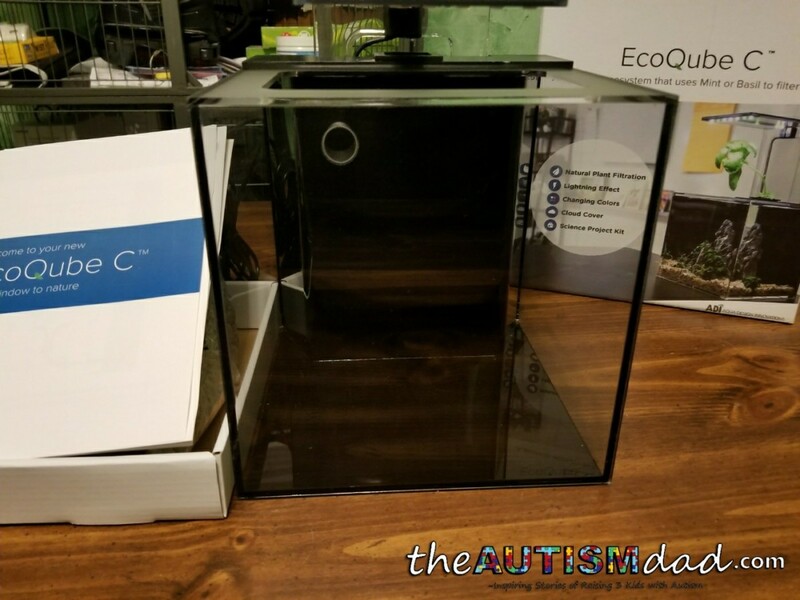 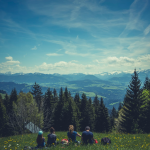 For more information on how you can purchase an EcoQube C or any other of EcoQube’s awesome products, you can visit them here. 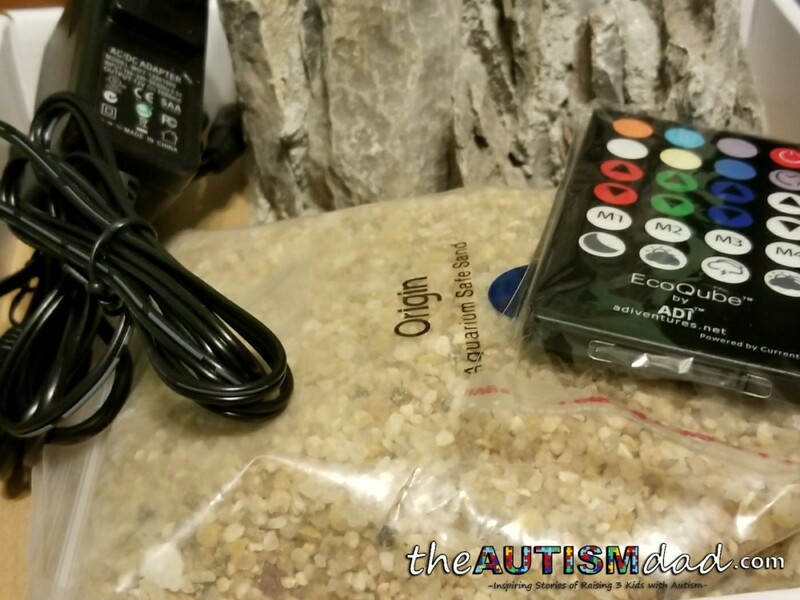 The EcoQube C clocks in at about $140 and it comes with everything you need to get started. 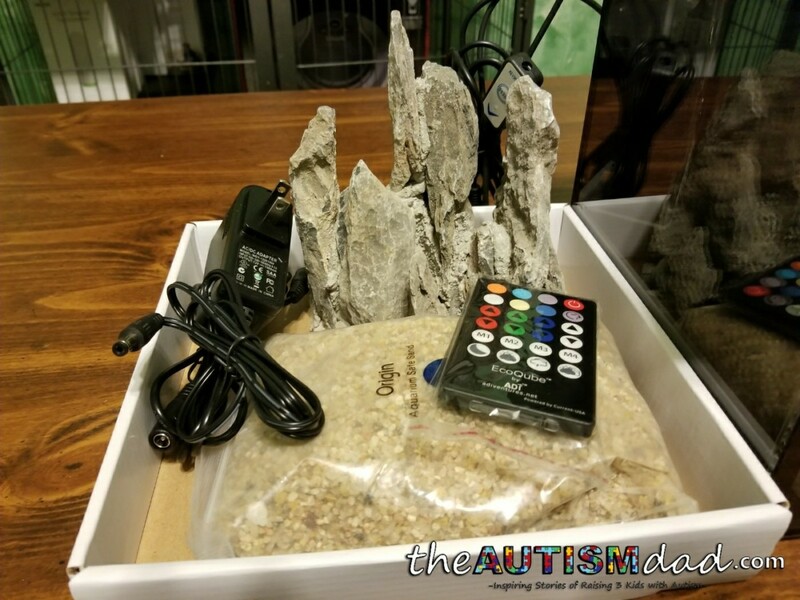 All you need to do is plant a seed, fill the tank with water and when it’s ready, get some fish from your local pet store.